Prime Minister Sheikh Hasina from Bangladesh asked David Cameron to crack down on British jihadis exporting extremism to her country. 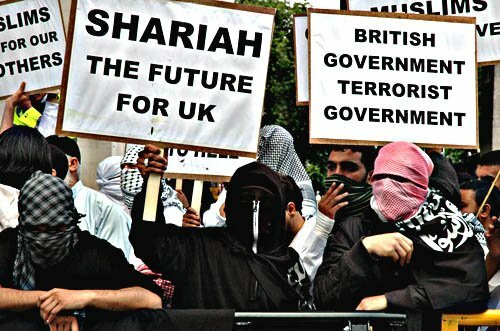 The UK is asked to crack down on its Islamist community. Prime Minister Sheikh Hasina has urged David Cameron to tackle recruiters from the Bengali community in Britain as experts say jihadis are fanning extremism in Bangladesh. Influential ‘The Guardian’ newspaper ran a report on the rise of religious extremists in Bangladesh and the role of those returning home from Europe and the US in fuelling radicalism. The Guardian journalists Simon Tisdall and Anna Ridout spoke to the Bangladesh leader, some other politicians, campaigners against Islamic radicalism and security experts for the report. It quotes Bangladesh security and intelligence experts to say British jihadis are backing an Islamist revival in Bangladesh by training a new generation of young religious radicals sympathetic to ISIS. “Recruiters and extremist funding from Britain’s Bengali diaspora communities are encouraging locals to join the cause of international jihad, and the number of Bangladeshis involved in salafi groups is rising,” says the report, quoting experts. In an interview to the paper, Hasina warned the British government that it needed to take more steps on the ground.